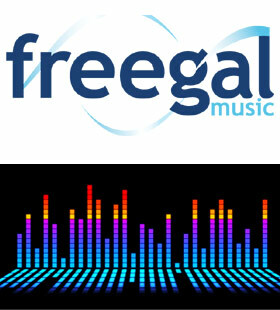 Download music free and legally with your Idea Store card and Freegal! Download 3 music tracks in the MP3 format each week, to your PC and transfer to itunes or your mobile device or burn to disc. Stream 3 of hours of music each day. Download music videos from a collection of 15,000 videos. A video download counts as 2 of your weekly music selections. The videos are in MP4 format, and are yours to keep. There are hundreds of genres of music with thousands of artists, tens of thousands of albums and 7 million songs. What do I need to access the music download service? Visit the Idea Store Freegal website. Enter your Idea Store library card number. Browse by keyword, artist or album or use the advanced search or Top Downloads list. Select a track and click 'Download'. Sony Music Entertainment is a global recorded music company with a current roster that includes a broad array of both local artists and international superstars. The company boasts a vast catalog that comprises some of the most important recordings in history. It is home to premier record labels representing music from every genre, including Arista Nashville, Beach Street Records, BNA Records, Columbia Nashville, Columbia Records, Day 1, Epic Records, Essential Records, Flicker Records, Kemosabe Records, LaFace Records, Legacy Recordings, MASTERWORKS, Polo Grounds, RCA Records, RCA Nashville, Reunion Records, Roc Nation, Sony Classical, Sony Music Latin, Star Time International, Syco Music, Verity Gospel Music Group, and Volcano Entertainment. Sony Music Entertainment is a wholly owned subsidiary of Sony Corporation of America.